Royalty-free stock illustration of a male cleaning professional using a vacuum to clean the floor. 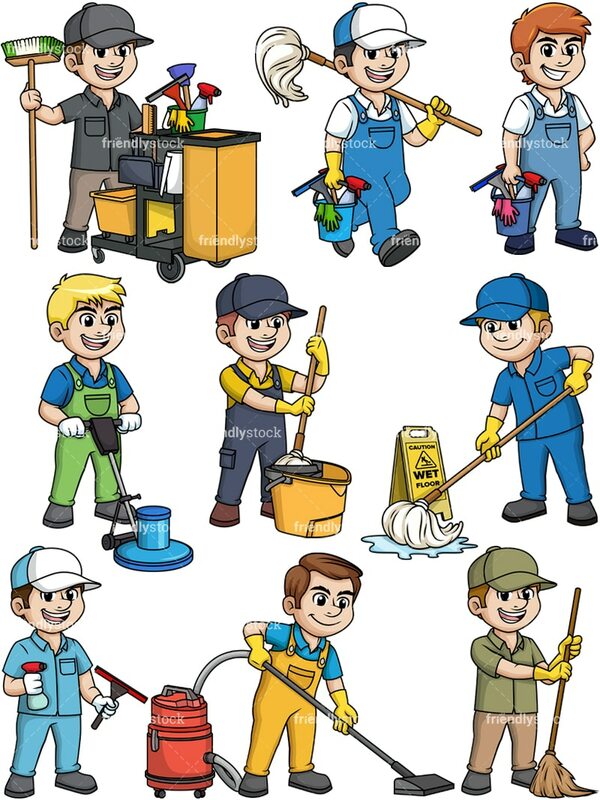 Royalty-free stock illustration of a male cleaning professional polishing the floor. Royalty-free stock illustration of a male cleaning professional using a mop to soak up water while standing near a yellow sign with a wet floor warning on it. Royalty-free stock illustration of a man who is a cleaning professional, smiling while squeezing a mop on a yellow bucket with a wringer. 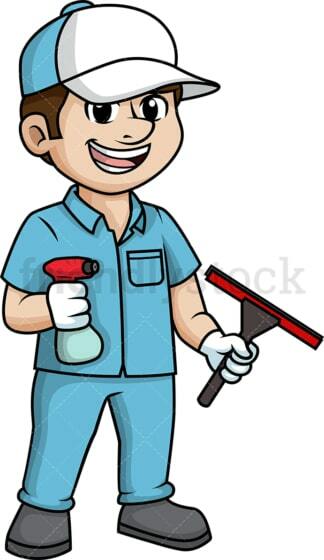 Royalty-free stock illustration of a man holding a squeegee and a cleaning spray. 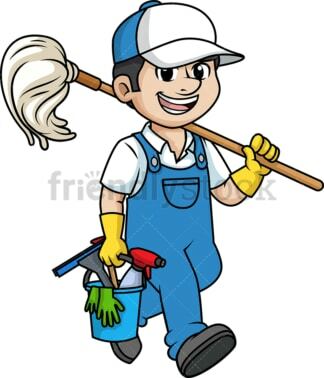 Royalty-free stock illustration of a male cleaning professional holding a blue bucket with a squeegee, a spray and an extra pair of gloves in it. 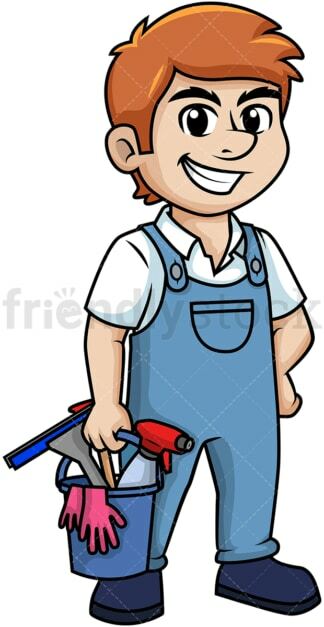 Royalty-free stock illustration of a male janitorial professional smiling and holding a broom while standing near a cleaning cart full of tools. Royalty-free stock illustration of a man walking while carrying a mop on his shoulder and holding a bucket full of cleaning tools with his other hand. 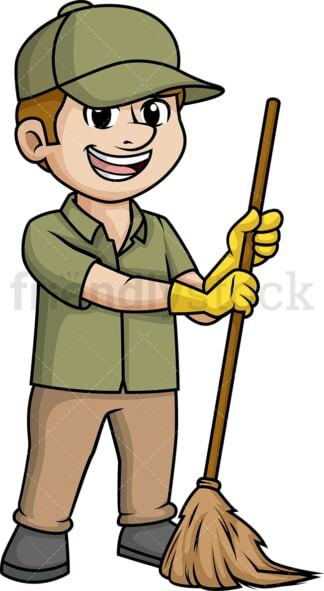 Royalty-free stock illustration of a male cleaning professional using a broom to sweep the floor.